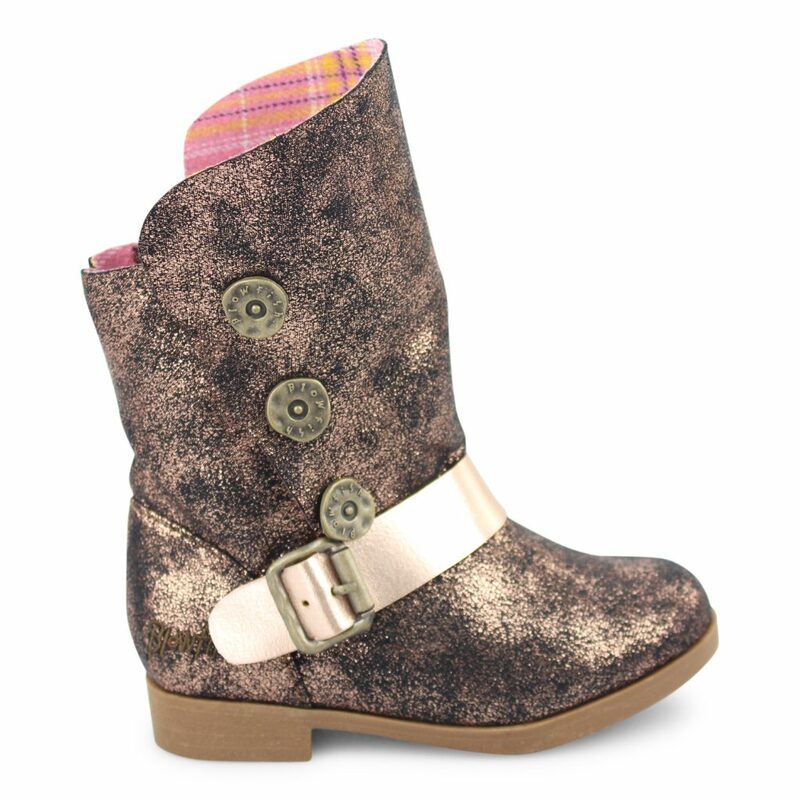 Keep your little one as cozy as possible this fall with the Stassies-T, an adorable boot that is as functional as it is stylish. 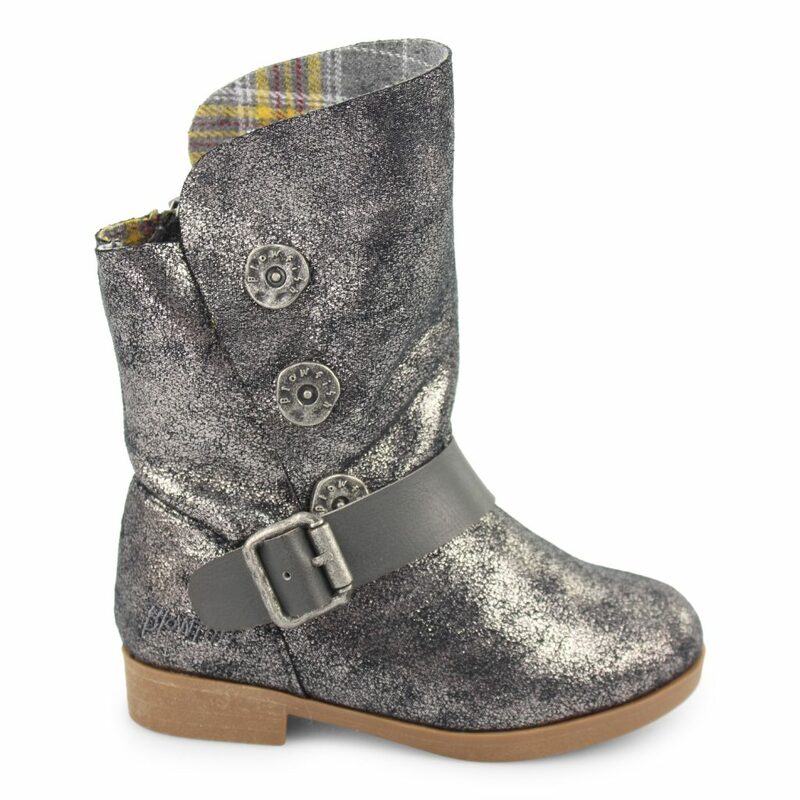 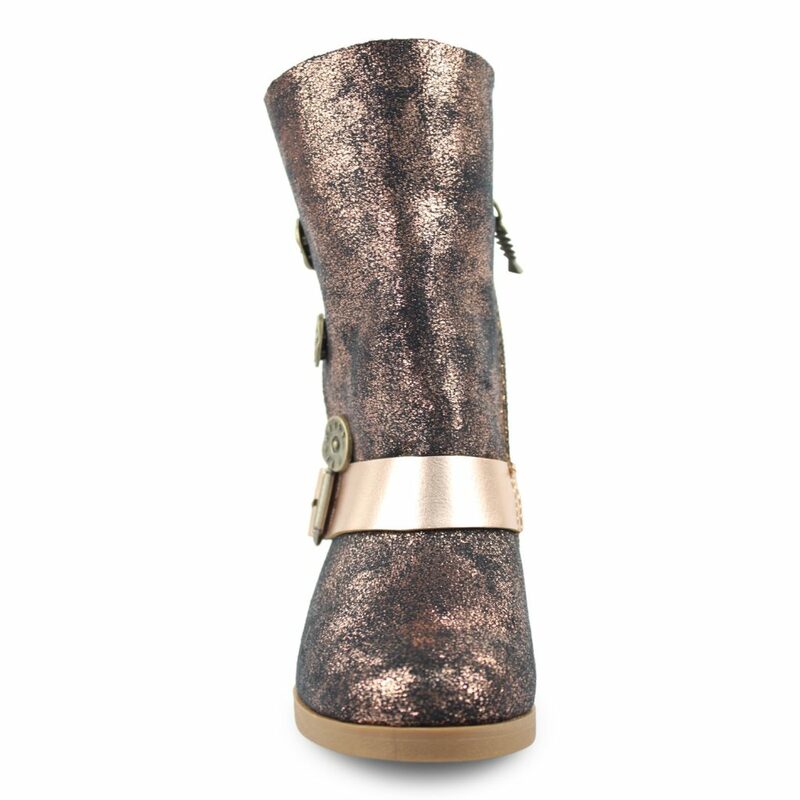 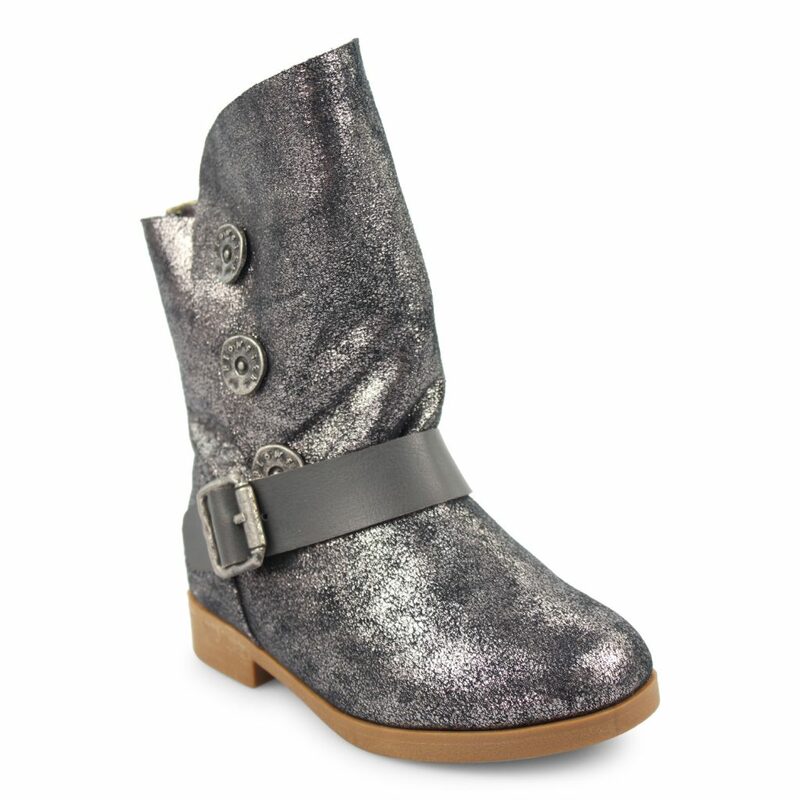 With a metallic textile upper, your little lady will stay warm in cozy, even on the coldest of days. 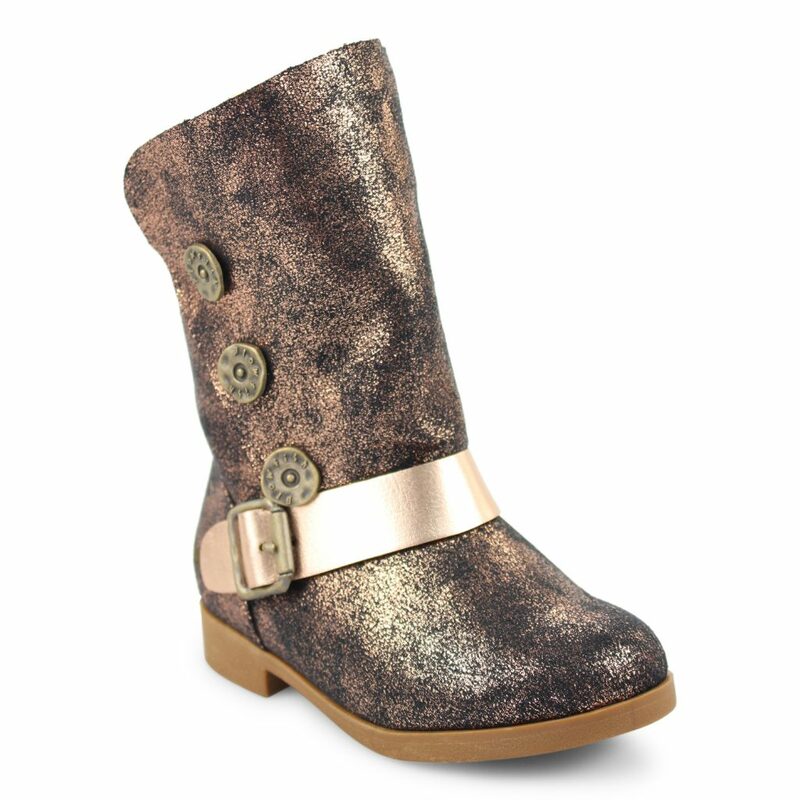 Details include a distressted buckle and buttons, as well as an inside zipper for easy on/easy off. She'll be shining, even on the gloomiest of days!